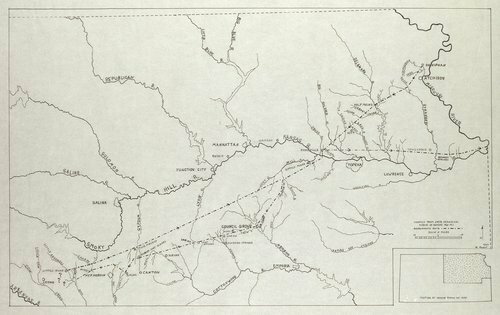 Milton Reichart created this map to accompany his article on Etienne de Bourgmont's route to central Kansas which appeared in the Summer 1979 issue of Kansas History (Vol. 2, no. 2). Reichart adapted the map from the State Geological Survey of Kansas, 1964 M-1.